A 67-year-old patient with severe osteoarthritis from Oman has undergone a knee-replacement surgery using computer navigation technique at SafeMedTrip A ffiliated Hospital in India. Both the knees were replaced in one sitting itself. Doctors claim that the knee replacement surgery was performed with the help of computer navigation is the first . 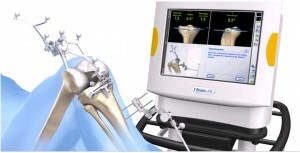 In this technique, specially designed trackers are fixed on the patient bones which send signals to the cameras mounted on the machine with computer and the surgeon maps the patient bone anatomy on the computer. This provides a patient-specific anatomical map of the bone on the screen. 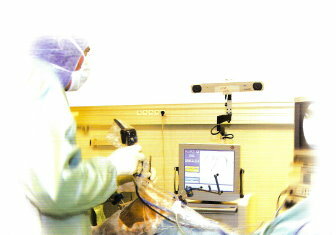 It is different from the robotic surgery as here the surgeon remains in control of the procedure. “In conventional technique, a lot of eyeballing is required to fix the cutting instruments on the patient’s bone. This leads to mal-alignment of the implant in approximately 17 to 28% of cases (quoted in various studies published in medical literature). This will lead to persistent pain or instability in the knee even after surgery and the implant will fail much quicker as compared to well aligned and balanced knee,” said senior consultant, department of orthopaedics. A perfectly aligned knee joint will last longer compared to the mal-aligned knee. Thus, the patient will require a revision surgery after 20-25 years (if the joint is perfectly aligned) as compared to 10-15 years (if the joint is mal-aligned). This will reduce both the physical and financial burden on the patient and our health care system. The revision surgery usually costs two times as compared to primary surgery, said the doctor. “In conventional technique, we put instruments and cutting zigs in a fixed angle for all the patients, but the individual anatomic variations are not considered,” added Jangid. 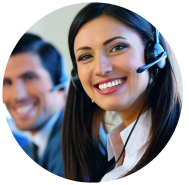 With computer navigation the hip, knee and ankle center are calculated accurately for that individual patient. It then guides surgeon to determine the spatial location of instruments for that particular patient and to provide positional feedback regarding their use. This leads to zero degree error in alignment of the artificial prosthesis in all three planes, claim doctors. The other advantage of computer navigation is that the artificial knee is perfectly balanced with this technique and it helps in early recovery. The patients are more confident and pain-free because the knee is stable and axial loading is perfect. The patients even climb stairs in a week’s time after the surgery. Besides this, the canal of the thigh bone is not opened in this technique and that avoids any chance of fat embolism in these patients. The blood loss is significantly less with the computer navigation technique as compared to conventional technique. We don’t transfuse any blood for our unilateral knee replacements and usually require no more than one unit in bilateral knee replacement cases.